The snow started on Monday and they let the kids go early. Tuesday and Wednesday school was canceled. 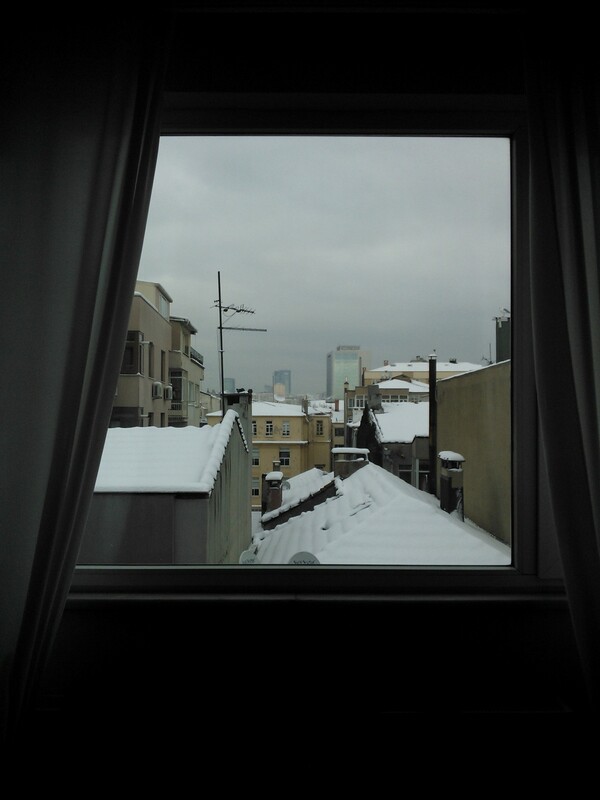 So I’ve now had three snow days in Istanbul. It’s the first time the city, surprisingly, wasn’t been absolutely crazy. There were less people out in the streets and those who were were acting like kids again–snowball fights, snowmen, sliding down hills. True, transportation was more annoying than usual; I was stuck on the European side with a friend of mine and didn’t actually make it back home to the Asian side until last night, only to get up this morning and drive all the way back to the European side. But that’s ok. It was worth it. It was a nice, relaxing start to the new year. 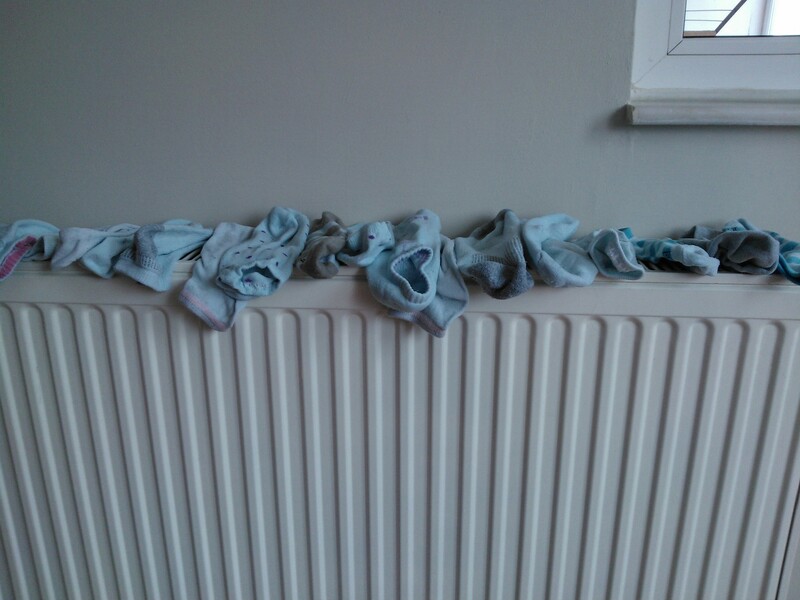 These are my friends socks drying on the heater. We don’t have dryers, so in the cold weather, it can take a while for things to hang dry. This speeds up the process. This was the view from my friend’s sixth floor apartment on the European side after the snow calmed down a bit.